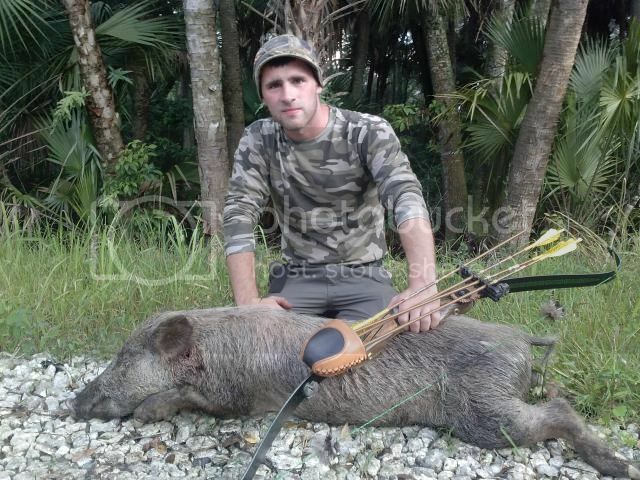 Re: VIDEO:Brian Richards from England, 2 boars down with True South Adventures! Jim, you are a tease! ha ha, sorry! It will likely be on Bill Langer's next DVD. Brian took a bigger one the next afternoon and he got it on video,too. That wasn't very NICE! haha. That's not even right Jim!! Jim that is a tease! You should have called the video the pig we nearly stepped on. He made a big mistake taking a nap on the trail to the stand! Back home now and already thinking about when and where I can hunt next!! It's pretty bad! Thanks again for the work you and Irv put in. No need to worry about that, there's plenty of swine left. Jim also has some other properties up his sleeve.